The Monetary Policy committee (MPC) presented its fourth monetary policy for the fiscal year on October 04, 2017. In line with our expectations, the MPC voted (5 – 1) in favor of keeping the policy repo rate unchanged at 6.00%, while maintaining the ‘neutral’ stance of the monetary policy and remaining watchful of incoming data. One of the MPC members was in favor of at least 0.25% repo rate cut. The MPC observed that CPI inflation rose by 2% since its August bimonthly policy meeting. These price pressures along with heightened financial market volatility due to global developments viz. US Fed balance sheet unwinding and risk of policy normalization by the ECB, higher oil prices and potential inflationary pressures from fiscal slippage led to RBI increasing its inflation projection to 4.2-4.6% from 3.5-4.5% for H2FY2018. Growth projection has been lowered to 6.7% for FY18, due to weak investment activity on the back of GST implementation and stressed balance sheets of banks and corporate. While the MPC acknowledged the likelihood of output gap widening and slowing growth, but stated that it requires more data points to better ascertain the transient versus sustained headwinds in the recent growth prints. RBI believes that the teething problems linked to GST and bandwidth constraints may get resolved soon, allowing growth to accelerate in H2FY2018. Though headline CPI inflation has remained low in H1FY2018 due to low food prices and on account of the effects of demonetization, we would remain watchful on how sustainable these factors are going forward. It is expected that the interest rate easing cycle has broadly come to an end, possibly with some room for accommodation left, depending on the evolving inflation and growth trajectory over the coming months. 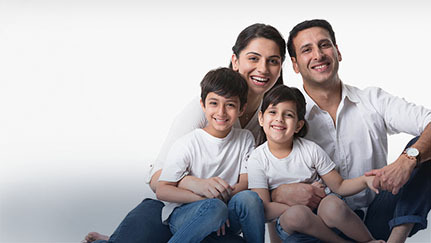 The improving macro-economic scenario of the Indian economy presents good investment opportunity for Policyholders. Policyholders would be well placed to benefit from the economic revival if they continue to pay their premiums regularly and remain invested in the India growth story.